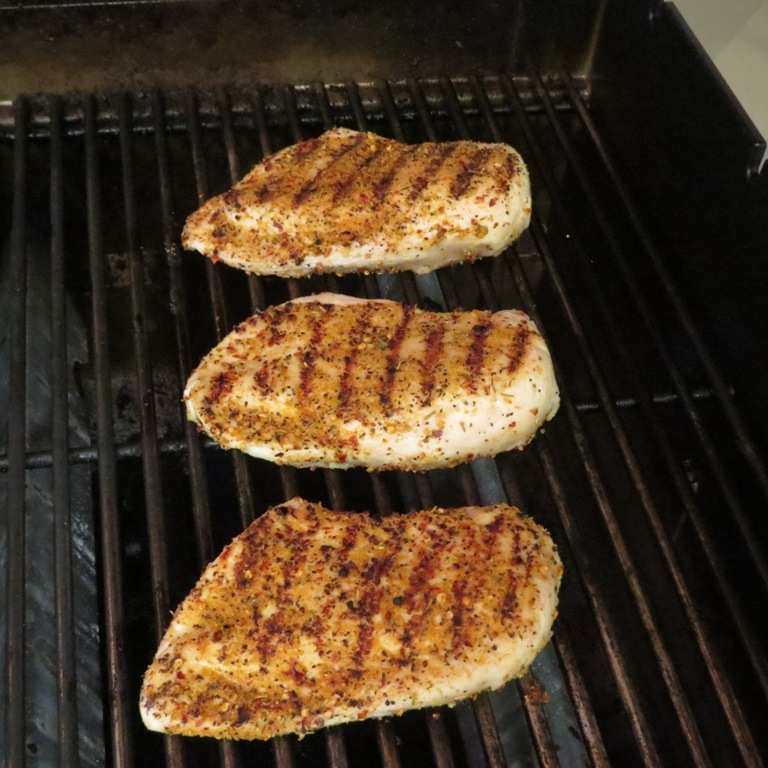 Grilled chicken and vegetables are quick-cooking, inexpensive and healthy which make them a dinner staple at my house. 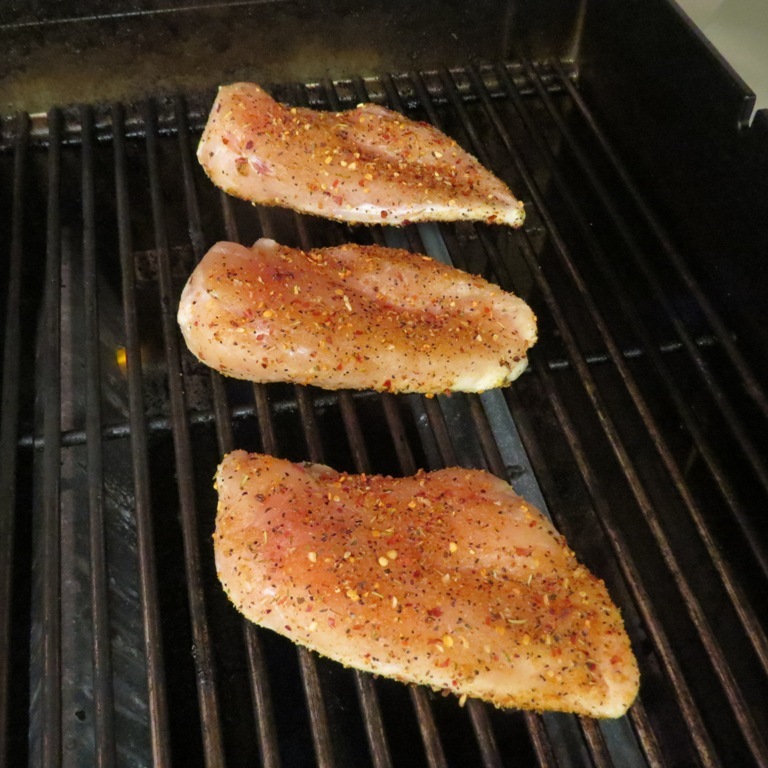 Boneless, skinless chicken breasts are pretty bland so they benefit greatly from a marinade or a rub. It’s a great way to add a lot of flavor without adding fat or calories. 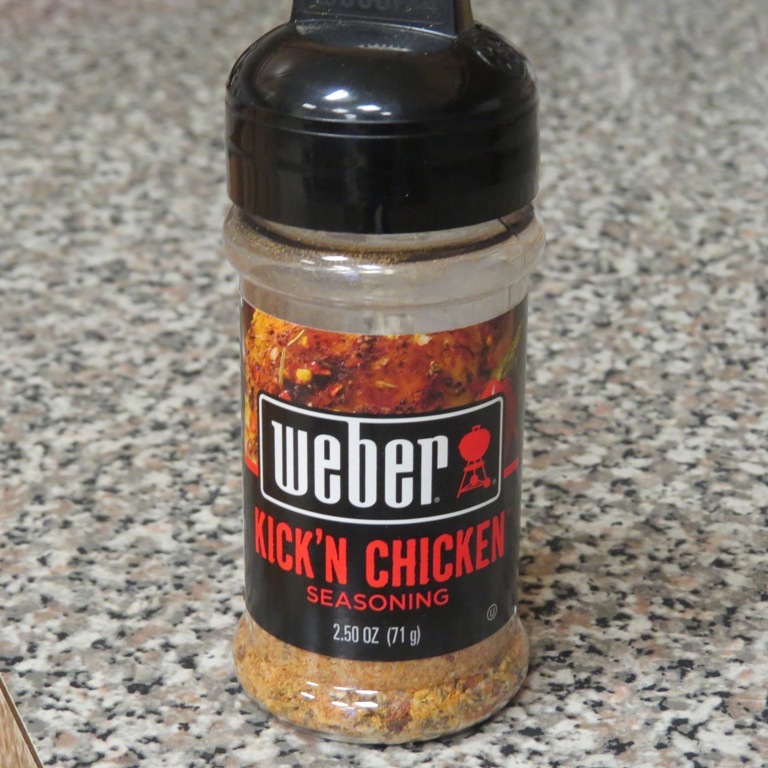 Lately my favorite go-to rub has been Weber’s Kick’N Chicken seasoning. It provides lots of flavor and a little heat to chicken and it’s also great on vegetables. I like to mix the grilled chicken and veggies with pasta and pesto sauce for a quick, delicious, healthy dinner. Brush a light coat of olive oil on boneless, skinless chicken breasts and sliced vegetables (I like asparagus, mushrooms, red bell peppers, zucchini and onions) then sprinkle with the Weber Kick’N Chicken seasoning. Grill the chicken and vegetables according to instructions. When they’re finished grilling, let them cool enough to handle and slice into bite size pieces. Toss the chicken and vegetables with hot whole-grain penne pasta and a couple tablespoons of jarred pesto sauce. Just before draining the pasta, reserve some of the pasta water to add to the pesto sauce if it seems a little dry. I usually start with about a tablespoon or so and add from there if it needs more. The starch in the water helps thin the pesto sauce without making it too watery and bland. I also like to stir in a little crumbled goat cheese for added flavor. When I make this, I grill enough extra chicken and vegetables to use for lunch during the week. I slice the chicken and veggies and make a wrap with a whole-wheat tortilla and hummus. Delicious!